The Urpower ultrasonic air humidifier is a versatile product to say the least. 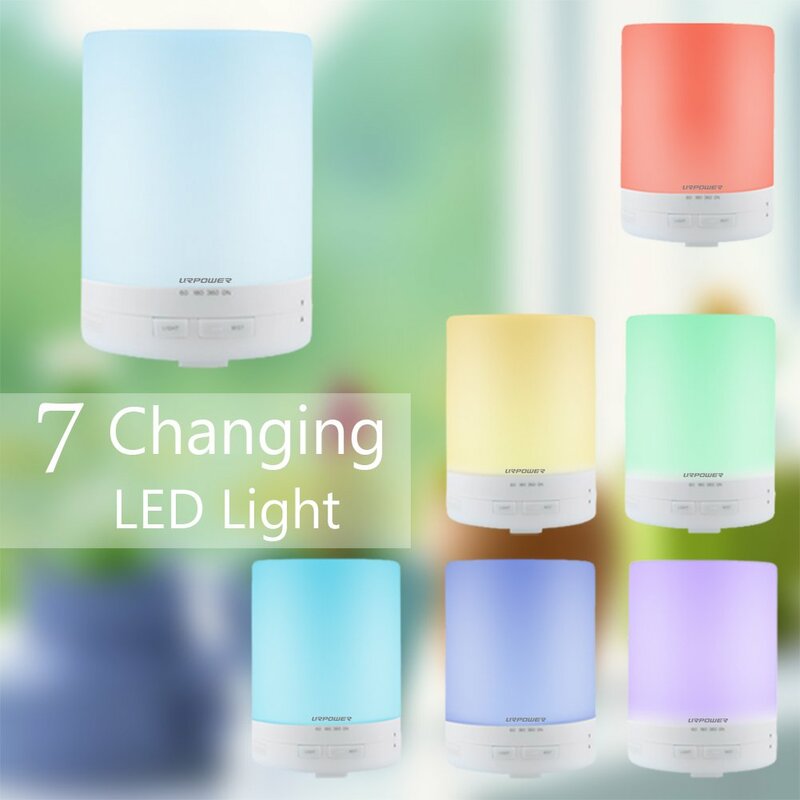 It serves five different roles in your home which include humidifying, purifying the air, ionizing, diffusing aromas as well as being a night light. It employs an advanced ultrasonic diffusing technology to make sure that both water and essential oils are broken into millions of particles per second. It is worth noting that all this happens without the use of heat. Heat will completely ruin the integrity of essential oils. In turn, the oil particles are able to be absorbed in the body in a state that is healthy for you. Below is a full review of what this product is all about. In addition, you will get to see what users of this product think about it. In turn, you can make an informed decision when buying a reliable room diffuser for your home. This diffuser qualifies as one of the biggest owing to its large water capacity of 300ml. This means that you can use it for up to 10 hours without worrying that water will run out. In essence, it is highly beneficial in the night time where you do not have to wake up to refill. Better yet, unlike other products, when it runs out of water, it will turn off automatically. There are great features that allow you to set timers for up to 360 minutes. Pressing on the ‘Mist’ button will allow you to navigate around various options provided. First, the room diffuser is responsible for improving the quality of air in the home. It is ideal for getting rid of second hand smoke. If your air is prone to being stale or harboring allergens, this product will tackle this problem as well. As alluded to earlier, the Urpower diffuser works as an ionizer and it releases negative ions into the air to get rid of positive ions which are harmful. The health benefits that will come from all this include better breathing, a boost to the immune system as well as an improved mood. In addition, it plays a pivotal role in helping relieve stress. Its purifying and humidifying features are responsible for the better air quality. In many cases, this product can also be used as a non-aromatherapy humidifier. It is an excellent remedy for people who are suffering with dry cough, dry skin as well as sinus irritation. It plays an aesthetic role by providing a wide array of light options. You can choose among 7 LED light colors to fully customize your room and improve your mood. If you are not too crazy about the light, you can leave it off while you continue to use the diffuser. Opening this product is not hard at all. It only takes a simple twist and you are ready to go. It comes with an arrow that shows the user how it lines up to open. Closing is also easy as well. Filling it up will definitely take you through the day for up to 10 hours. However, the scent will decrease as the time passes. In this regard, you will need to add a few more drops of oil to maintain the scent accordingly. In total, it comes with 4 timers settings which will give you the power to choose what works for you best. According to user reviews, this product is not just easy to use but it is easy to clean as well. It also has a wider coverage when it comes to mist compared to other products. When water is low, it will beep twice to inform you and then it will turn off automatically. Many users are also pleased because it comes at a good affordable price while providing full value for money. Many users are also satisfied with the cleaning manual that guides on how to undertake the cleaning which is recommended weekly. In addition to a full product manual, this product comes with a measuring cup for filling water as well as a charger adapter. It does not come with oil and in this regard, you can choose the essential oils that are ideal for you. This product has been a real life saver for people who have allergies such as asthma and conditions like dry skin. Having conducive healthy air is all it takes for many to regain their grip in life. In addition, stress has been one of those problems that are hard to get rid of. 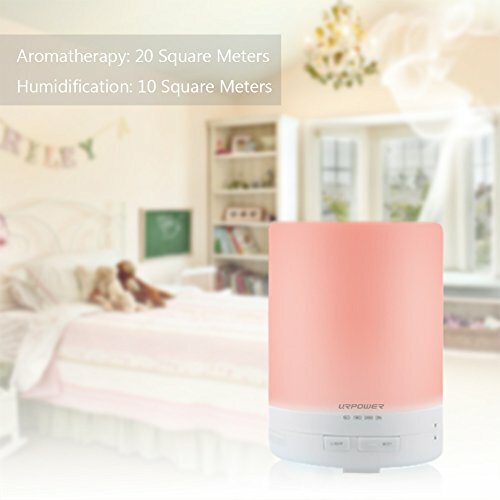 Thanks to the aromatherapy made possible by this diffuser, many users are sleeping in a relaxed and soothing way making their quality of life better. In addition, many are pleased that they do not have to worry about the product heating up because there is no production of heat. The pretty LED light colors are also excellent eye candy to keep the mood up. Other users have stated that their kids are totally in love with the LED lights thanks to the stimulating colors. For people who are not too keen about the aromatherapy, the product can also be used without essential oils. There are many other merits that have left many satisfied including the fact that this product comes with a money-back guarantee. However, with all good things, there are some flaws that might ride along and the following are some of the few downsides that have been reported by some users. When this product is out of water, it will beep twice and then shut off automatically. For those who are light sleepers, this beep may wake them up. Even though the beep is not so loud, some people might find it a bit annoying. This can be made worse when you have it in a baby’s room; the last thing you want is to wake your baby up. All in all, most user reviews of the Urpower ultrasonic air humidifier are highly positive and their experiences have been fruitful to say the least. From all the facts that have been mentioned above, this product is definitely good value for money. It is a high capacity room diffuser that will transform your poor air into quality air. This will come with numerous health benefits and at the end of the day, it is all about boosting wellness and well being. Many people do not regret buying this product; and you will be delighted to invest in a wholesome and versatile product.